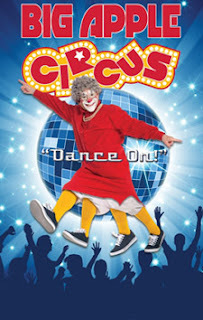 The Big Apple Circus's all new show, DANCE ON!, features the world's finest circus artists under the Big Top, with no seat more than 50 feet from the ring! Unibikers and trick ropers from China, contortionists from Mongolia, Kenyan pole climbers, an Ethiopian rebound juggler, a chorus line of miniature horses and more! In this show everyone dances, even the audience! Buy online or call 888-541-3750. Mention promotional code NEAQ11 online, by phone or at the Big Top Box Office. *Offer good on select seats and locations!